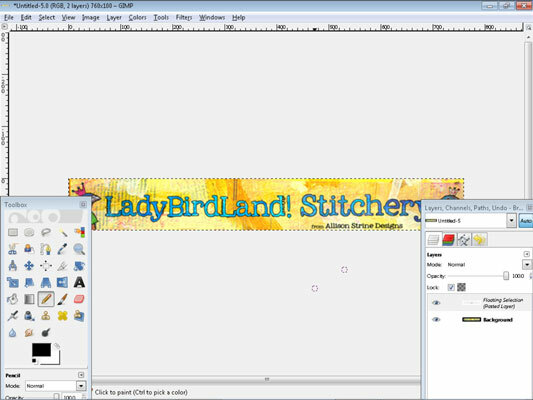 GIMP (GNU Image Manipulation Program) is a free, downloadable image-editing tool that is perfect for creating a banner for your Etsy shop. GIMP is also great for performing essential image-editing tasks like resizing, editing, and cropping. You can even use it for more advanced purposes, such as adjusting levels and the like. Click File and choose New. The Create a New Image dialog box opens. Type 760 in the Width field, 100 in the Height field, and choose Pixels in the drop-down list. Whatever program you use, the key to creating a banner is ensuring that it’s cropped correctly to fit properly on your Etsy shop page. All banners must be 760 pixels wide and 100 pixels high. GIMP creates a new image in the dimensions you specified. Using the program’s various tools, create your banner. 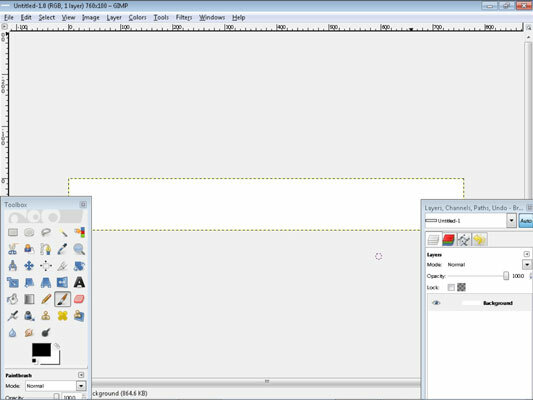 For guidance using GIMP’s various features, see the program’s help information; just click Help at the top of the screen. To save your banner, click File and choose Save As. The Save Image dialog box opens. In the Name field, type a descriptive name for your banner file. 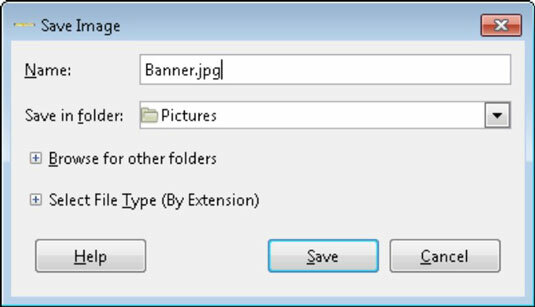 If you want to save your banner file somewhere other than the folder shown, click the plus sign next to the Browse for Other Folders entry, and then locate and select the folder where you want to save the file. 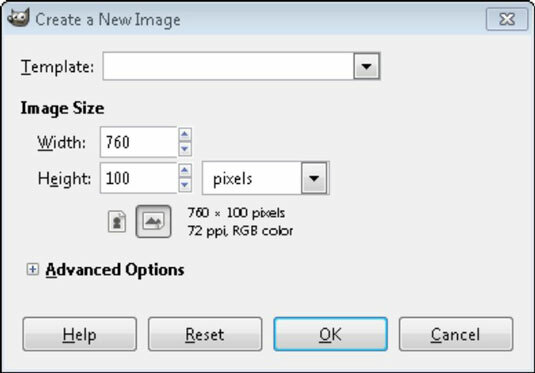 Click the plus sign next to the Select File Type (By Extension) entry, and then locate and select the JPEG Image option. If your image contains multiple layers or any transparency, GIMP prompts you to export your file. GIMP prompts you to select a compression setting. Drag the Quality slider all the way to the right, for maximum image quality; then click the Save button. GIMP saves your banner file in the folder you chose. If you’re no Rembrandt, why not let the pros take over and invest in a professionally designed custom banner? Many talented designers offer this service from their own Etsy shops. Try searching Etsy for “Etsy shop banner” and see what comes up.